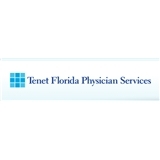 Tenet Florida Physician Services (TFPS), a division of Tenet Healthcare Corporation, is a multi-specialty physician group that has provided care to the South Florida communities of West Palm Beach, Broward and Miami Dade counties since 2007. TFPS physicians, including primary care, specialists and sub specialists, have cared for over 263,000 patients across various medical and surgical specialties. Our award winning physicians provide a level of expertise that has resulted in regional firsts and outstanding patient outcomes. We have many times presented clinical options for very sick patients when others could not. This network of 100 plus physicians, supported by a team of clinical and administrative professionals, maintains 300,000 visits annually with net revenues of $56 million. TFPS physicians and staff are committed to delivering high quality care.